When you set out on your life running and growing a business, you don’t think it’ll be a lonely life do you? You’re going to be spending time with customers, suppliers, other business owners, and possibly growing a team of people to share your passion as the business grows. You’d think that being so busy in your business, and working with others to grow your business that there’s no time to be lonely. I catch up with fellow mums/women/business owners who are friends and talk all things business with them. Still can feel rather isolated though. 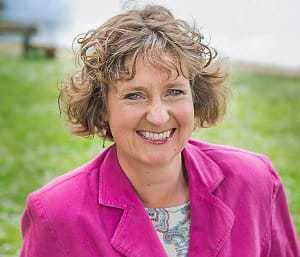 It’s all very well starting as you mean to go on, going to networking events, spreading your online network, joining groups of like minded business owners. You may have industry specific groups, events and training that you attend. These things take time, and you’re growing a business, so “I’ll do it next week” is what I often hear. If you’re not going have a lonely life, then you need to start, and maintain your focus on being with others. Not just in your business or work day, but spending time with family and friends. It can be hard to make that commitment to being with others, when all you really want is to get your head down into your work so you can meet your self imposed deadline. It’s important. Let’s just say, that if you don’t want to live a lonely life of a business owner, keep your commitment to being with others. I’ve noticed that many business owners don’t act as themselves in business network events or online. If you pretend to be someone else, or put on a “business face”, you’ll soon get exhausted. If you don’t allow others to get to know you as you, you’ll find the persona you’ve created will be the front and you’ll start to feel lonely. Others won’t understand or be able to help the real you, as you’ve covered it up. You’re growing a business for a reason, right? So, allow yourself to be you. Let others get to know you. You don’t have to share your personal life – it’s up to you what you choose to share with the people you meet. Yes, there’s a balance. If your business networks know you as you, they’ll understand that you need to take time off to take your parent to the hospital; or you don’t work Fridays as that’s the day you spend time with your toddler. Whatever is right for you, do it. Be you. Be yourself in all aspects of your life and business. Let others get to know you, and why you do what you do. If you let others understand you, they can support you better when you need their help. Grow your network of supporters. Whether this is online or offline, the wider your network, the more interactions you’ll have each day. 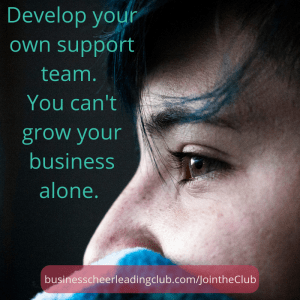 Develop a support team who are fully behind you, and stretch you. This could be a mix of business owners, family, friends, coaches, mentors, trainers, cheerleaders. Know what you need to grow and develop yourself and your business, then create the right team for you. As you grow, change your support team to help you develop yourself and your business to the next level. I’ve got to know so many amazing people from online networking, (such as LinkedIn and Twitter) and also from meeting people at my networking event. I’ve built up so many fab friendships with people and we share advice, help each other out, are supportive etc. I have a great online support network of people who do completely different things to me. What tips would you add to prevent having a lonely life as a business owner? Let us know in the comments below.